Extremely inexpensive solution for taking the smell out of your exercise clothes. Price: $6.02 – $7.53 for 13.5 lbs. I had been looking for years for a cost-effective solution that works to clean our family’s cycling and workout clothes. I’ve finally found it by combining a couple of readily available products. While in high school, my daughter was running cross country and came home with some really foul-smelling clothes. And, as someone who rides often, I contribute my share of stinky clothes to the laundry pile. Using a powder vs. a liquid is what my daughter’s coach recommended to combat the stink. But the powder alone did not quite cut it. The clothes were still not 100% fresh. 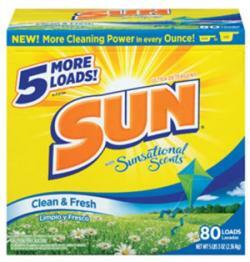 One day I added some baking soda to the wash, and this seemed to be the boost that the detergent needed. I have been using this formula for almost a year now, and this mixture has not had any adverse reaction with my cycling clothes. Using about 1/3 of a scoop per wash, I’m getting 80 washes from the laundry detergent. 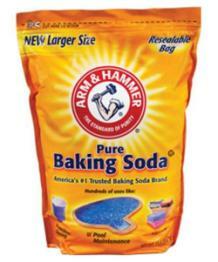 The 13.5 pounds of baking soda is good for about 200 loads. Combining these, I can do a full load of sports clothes for less than 10 cents! If you’ve tried other detergents and they don’t quite get your cycling and workout clothes as clean and fresh as you’d like, try this cost-effective solution. It has been my go-to alternative for nearly a year now, and it works great for me.